A Singapore vacation reveals the many charms of a leading city-state and regional hub of culture, retail, and tourism. 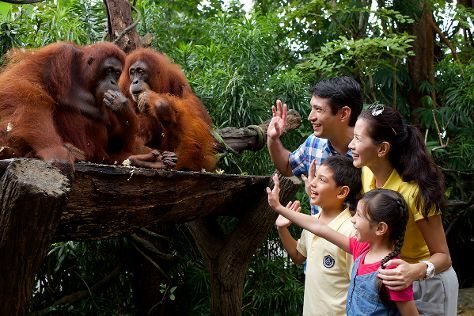 Get in touch with nature at Singapore Zoo and Palawan Beach. We've included these beaches for you: Tanjong Beach and Siloso Beach. Go for a jaunt from Singapore to Sentosa Island to see Universal Studios Singapore about 32 minutes away. There's still lots to do: enjoy breathtaking views from Singapore Flyer, take in nature's colorful creations at Gardens by the Bay, get your game on at Flight Experience Singapore, and explore the activities along Marina Bay. To see where to stay, reviews, and other tourist information, use the Singapore day trip site . Taipei, Taiwan to Singapore is an approximately 8.5-hour flight. You can also do a combination of car and ferry. Traveling from Taipei in January, things will get a bit warmer in Singapore: highs are around 36°C and lows about 29°C. Finish your sightseeing early on the 1st (Thu) to allow enough time to travel to Langkawi. Relax by the water at Cenang Beach and Tanjung Rhu Beach. Take a break from the city and head to Pasir Tengkorak Beach and Tengah Beach. And it doesn't end there: zoom along the surf with a waterskiing or jet-skiing adventure, head off the coast to Dayang Bunting Island, delve into the lush surroundings at Kilim Karst Geoforest Park, and enjoy the sand and surf at Beras Basah Island. To find ratings, more things to do, reviews, and more tourist information, use the Langkawi trip planning website . Getting from Singapore to Langkawi by combination of car and flight takes about 2.5 hours. Other options: fly; or do a combination of bus and ferry. 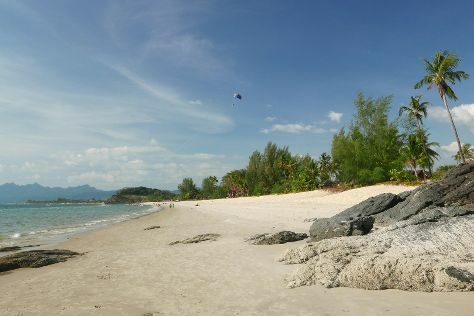 February in Langkawi sees daily highs of 38°C and lows of 29°C at night. Finish your sightseeing early on the 5th (Mon) to allow enough time to travel to Kuala Lumpur. Start off your visit on the 5th (Mon): identify plant and animal life at KL Bird Park and then admire the masterpieces at Islamic Arts Museum Malaysia. 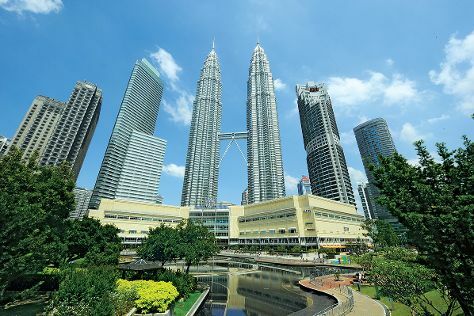 To see where to stay, reviews, ratings, and other tourist information, use the Kuala Lumpur trip itinerary planner . Getting from Langkawi to Kuala Lumpur by flight takes about 3 hours. Other options: do a combination of ferry, car, and flight; or do a combination of ferry, car, and train. Expect a daytime high around 38°C in February, and nighttime lows around 28°C. Cap off your sightseeing on the 6th (Tue) early enough to travel back home.